South Asia’s coastal mega-cities are at risk. With staggering populations and high probabilities of flooding related to climate change, these cities face an extreme adaptation challenge. Distressingly, these cities often lack formal processes for enhancing climate resilience, focusing their planning efforts instead on broader economic development goals. What steps can these cities take to enhance their resiliency and increase their safety from the effects of climate change? Madhu Dutta-Koehler (PhD ’13) examines this problem in her dissertation. Madhu looks closely at the capacity for adaptation planning in Dhaka, Bangladesh and Kolkata, India. She finds that these cities are remarkably constrained in the resources and attention that they are able to dedicate to climate adaptation efforts explicitly, but that they have nonetheless implemented a series of tangible projects related to enhancing resilience. The cities have done this by aligning adaptation efforts with broader development goals. 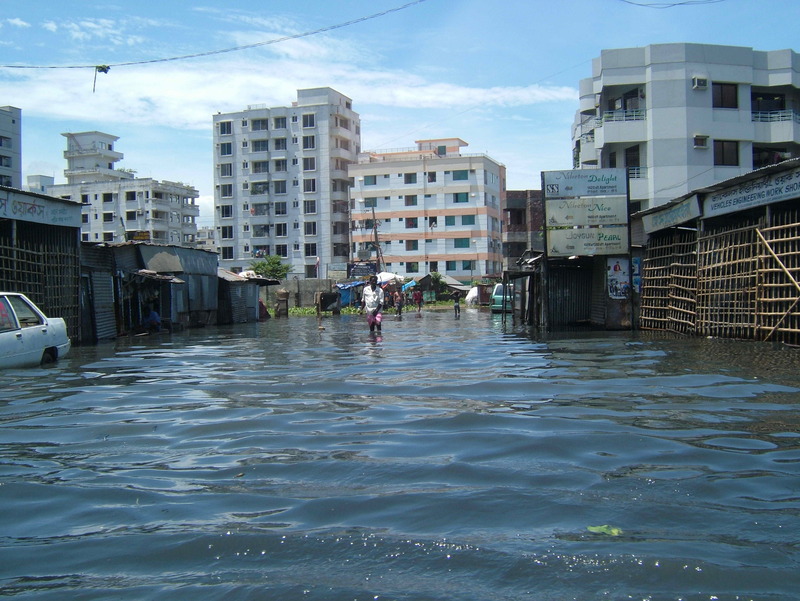 As part of a comprehensive effort to improve Dhaka’s future water supply, for example, planners have taken steps that will also mitigate the impact of climate-related flooding in the city. These “no regrets” moves that embed climate planning within broader policy goals have allowed the cities to make progress on climate adaption even though it is not being an explicit planning priority. Madhu provides a helpful way of thinking about adaptation efforts like this, labeling them as “contingent planning.” Contingent planning postulates a loose approach to climate change mitigation. It builds gradually towards long-term adaptation goals, but allows the details of implementation to conform to overall development goals. This sort of informal climate planning may not be ideal, but it might just be what saves the coastal mega-cities of South Asia. Read more about Madhu’s work in her dissertation. Posted on April 8, 2014, in climate change, environmental policy, urban development and tagged climate adaption, climate change, urban development, urban planning. Bookmark the permalink. 1 Comment. Reblogged this on Rebuilding The Empire.